Jürgen Gauß is not only among the most renowned scientists at JGU but also regarded as one of the leading quantum chemists worldwide. 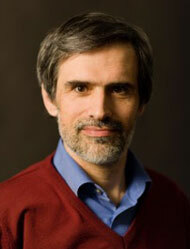 In addition to numerous other distinctions, he was awarded the Leibniz Prize in 2005. His work combines methodical developments and their implementation in high-performance computer programs and relevant applications in chemistry.